Starting from ideation and customer insights, "Mixer" app creation is a streamline solution to connect music enthusiasts. Through competitive analysis and research of similar applications, their deficiencies and pain points were the basis of Mixers creation. 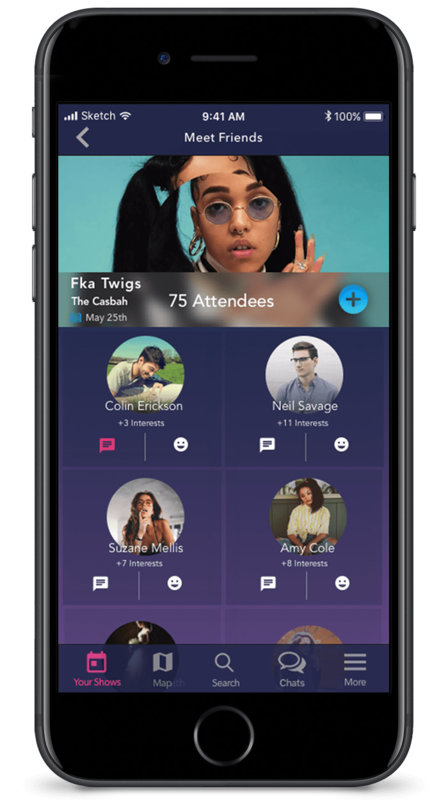 Following a UX process of user interviews, affinity diagrams, personas, wireframing, and design mockups, "Mixer" was brought to life to fit the needs of potential users. 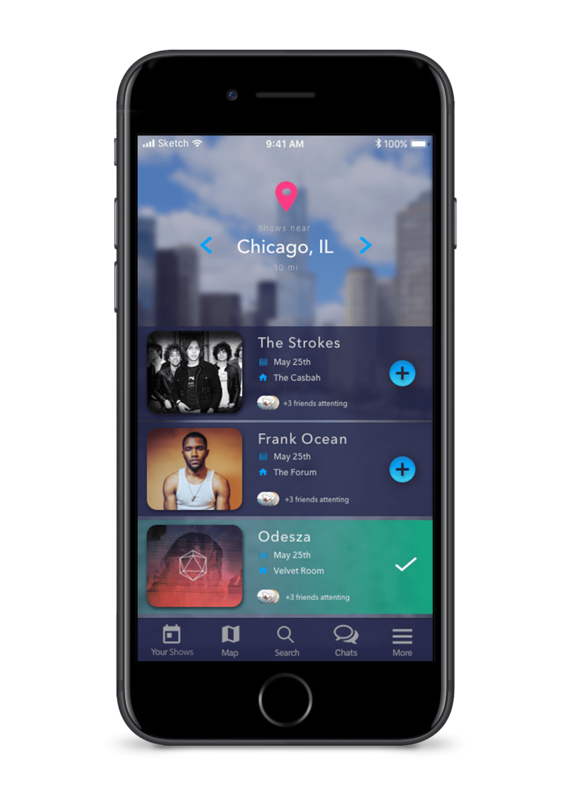 The purpose of this app is to make it easier, quicker, and more intuitive to find live music shows and meet people with similar music tastes. Many people do not share the same music taste as their friends and sometimes end up going to concerts and shows alone. There is often time an overwhelming amount of different avenues to find others who are attending the same shows, but often times it feels impersonal and not the right platform to reach out to people directly. 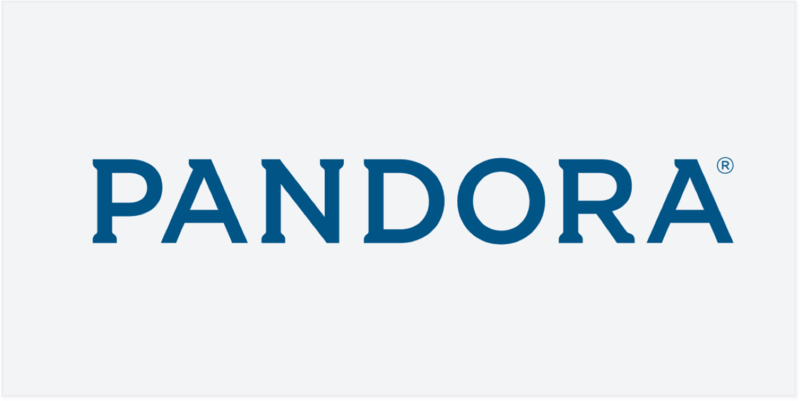 Music streaming apps do not advertise local concerts, or have a purpose of trying to connect users. Often time music sharing is strictly between friends and there is a barrier between music sharing, socializing with new people, and event planning. 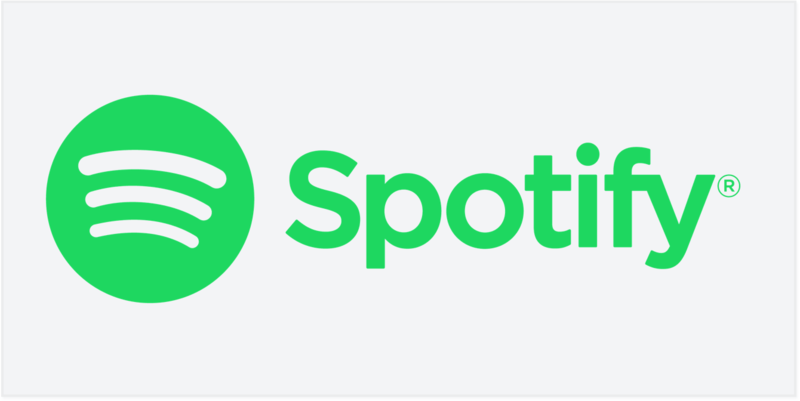 As an avid user of music streaming apps and social media I noticed each had their own share of short comings when it comes networking and discovering new users. I decided to reach out to other key users ranging from 24-55 years old to discover their thoughts and see if there was underlying trends in how users listen and share music with others. 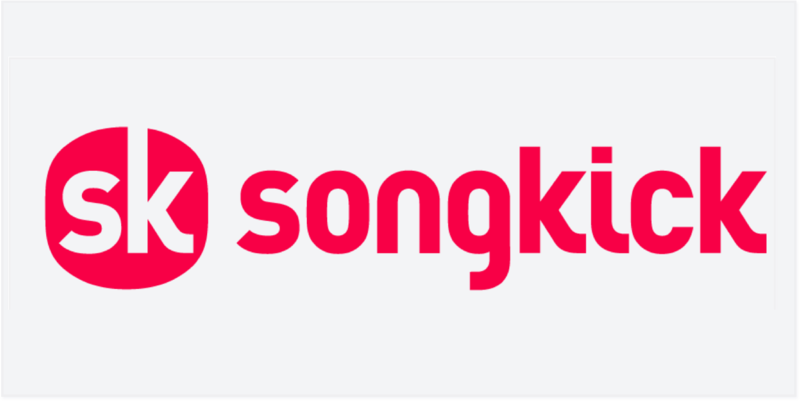 Users revealed their top platforms for discovering new music, meeting other users, and discovering concerts. Each platform came with its own strengths and pain points. There was not one app that users could use to solve the challenges listed above, especially discovering concerts which was often a secondary and often times difficult to locate. After speaking to the interviewees a primary persona was created based on addressing the user's conventional requirements for the product. 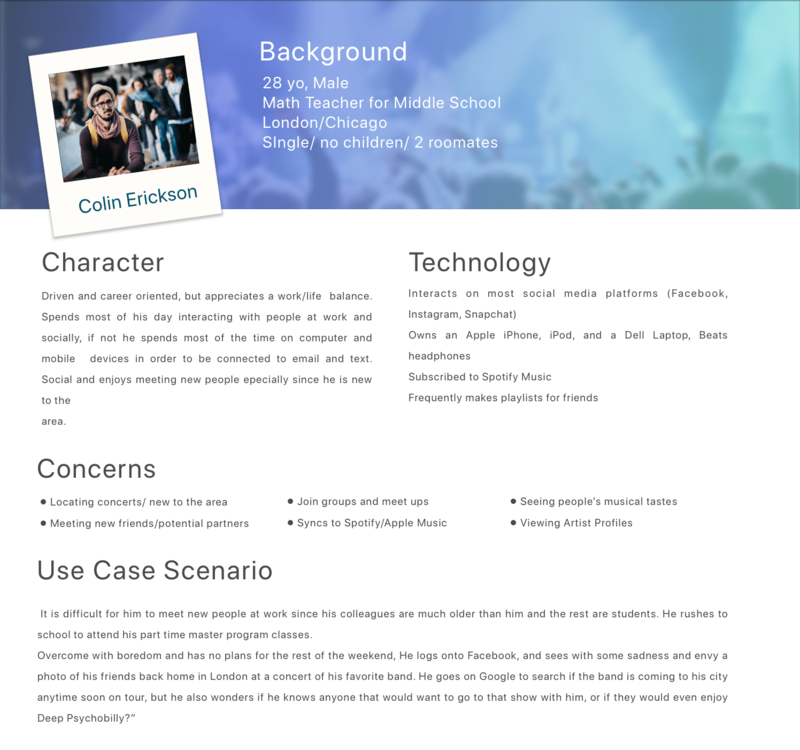 This persona addresses the users wants, needs, and pain points that the potential app will need to solve based on the persona's character, behavior, attitude, skills that represents the potential users. To bring the user's persona to life a storyboard was sketched. It illustrates a use case for the app, illustrating environmental, emotional, and social responses involved when using the app, as well as providing a contextual scenario. 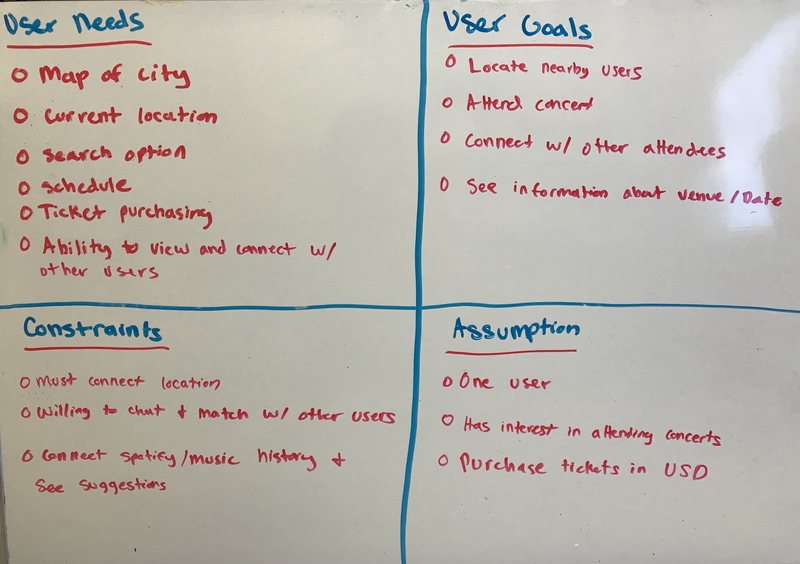 After meeting with potential users and exploring the goals and user needs addressed in the user persona, I brainstormed features and content that would help meet these goals. Ideas and content that had a common theme were found and grouped together, these would come in handy later when organizing the information architecture and wireframes. After brainstorming the most important features needed to solve the users problems I began sketching the information architecture. Writing down essential information that was learned when collecting data to further understand the problem. Briefly summarizing each aspect needed to get a full scope of the solution. 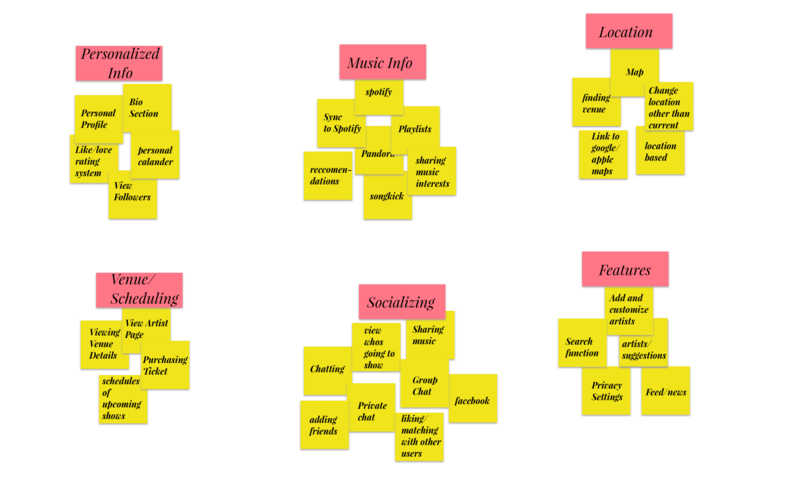 Important information gained from user interviews and capturing critical information from potential users were summarizing in four categories: User need, user goals, constraints, and assumptions. The information architecture came together, organizing the users journey and the hierarchy of features as they would appear as users move through the app to address their goals. Once I had all the information needed I began to piece them together through the wireframing process. 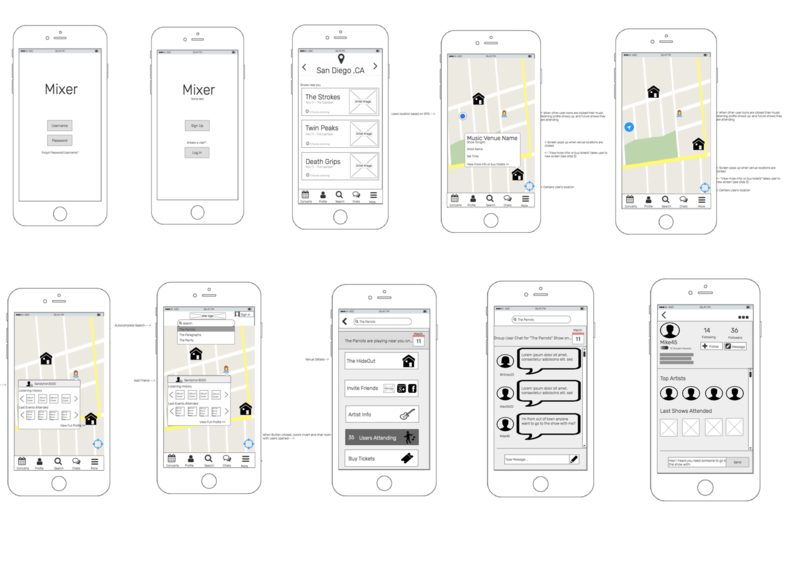 These wireframes were quickly made using Balsamiq. 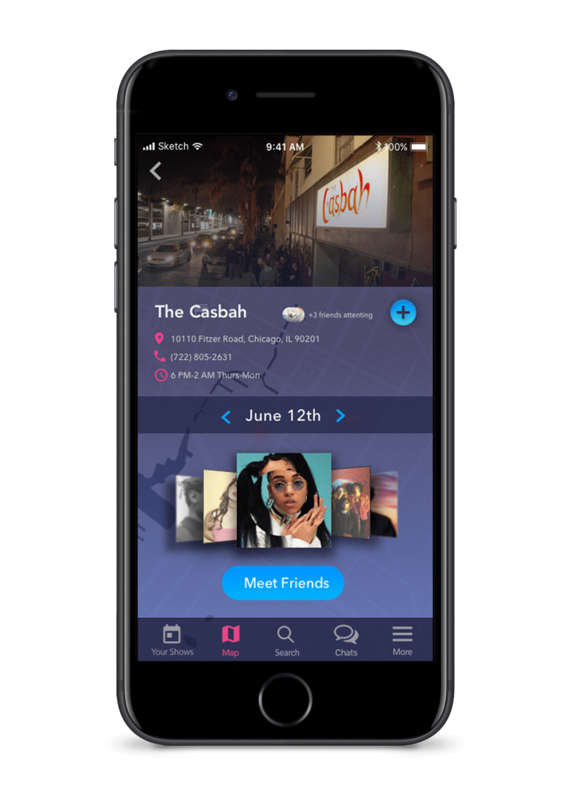 When users first log onto the app they will be greeted with a screen showing the shows nearby based on their current location. Users can add shows to save onto their profile and become a reminder. Ticketing options and other details will also be provided (see Concert information mockup). Seeing the venue and other available shows based on date is available to users once the show is selected. 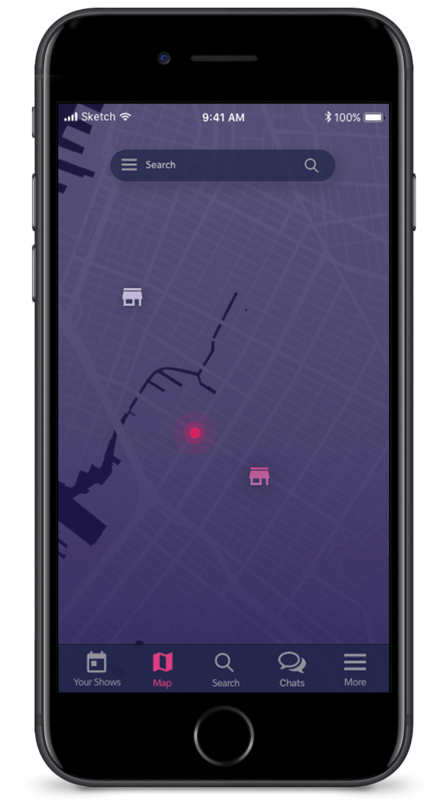 The map allows provides another way for users to discover concerts and where the venues are located relative to their location in real time. A search option also allows users to discover concerts through searching the artists name or venue name. 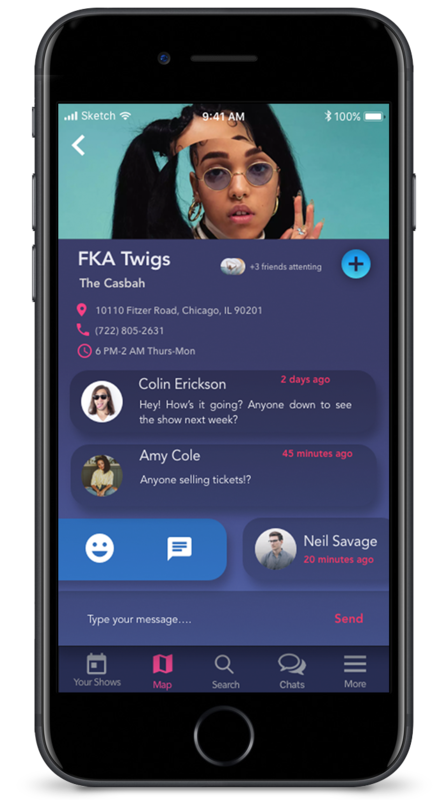 The various option to connect with other user, buy ticket, artist info, and inviting friends is available when searching an artist or venue. 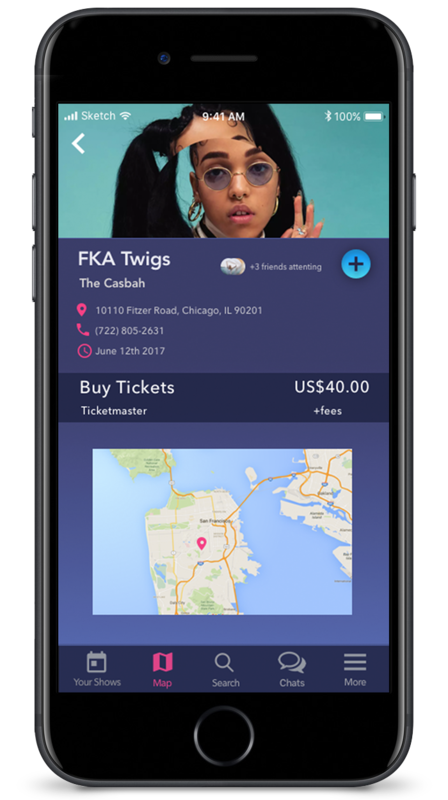 The aspect of connecting with other users with similar interests and attending the same concerts was critical for the use case. When user's are viewing the concert they can view a message board with other users posts. 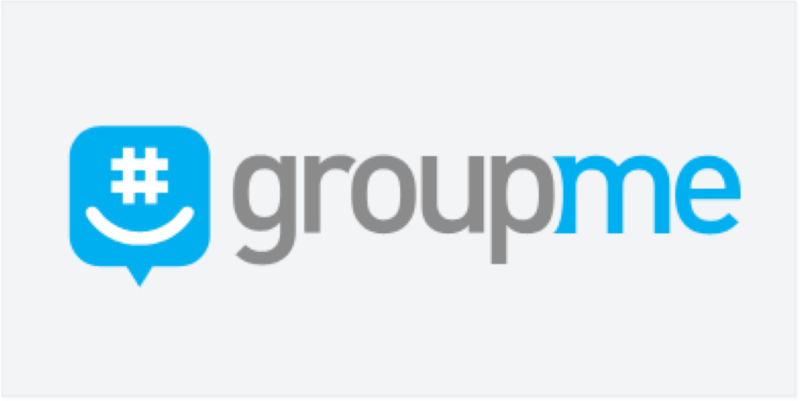 They can choose to chat or add friends through the group posts. 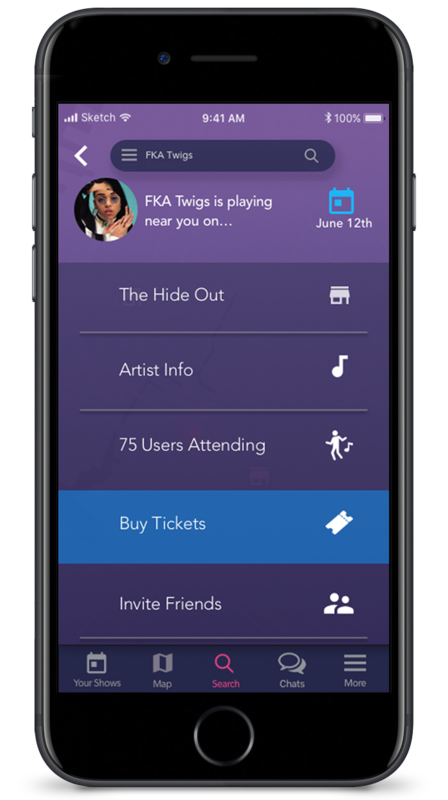 Users can also view all the users attending the concert through the "Find Friends" button on the concert page and view profiles and connect with others. 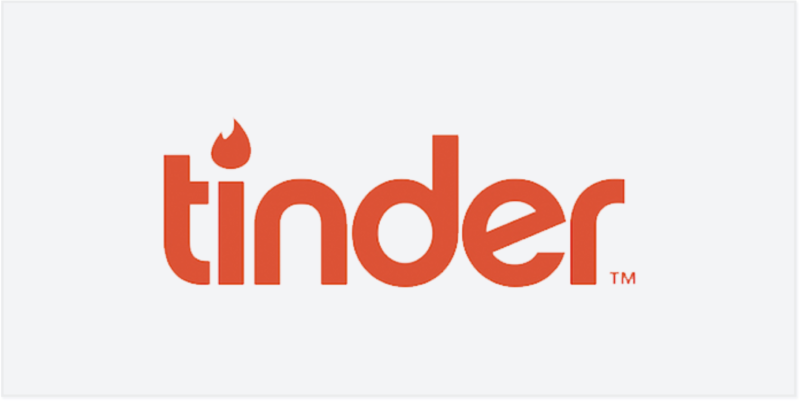 It was important for users to gain an understanding of other user's before they choose to connect with them. 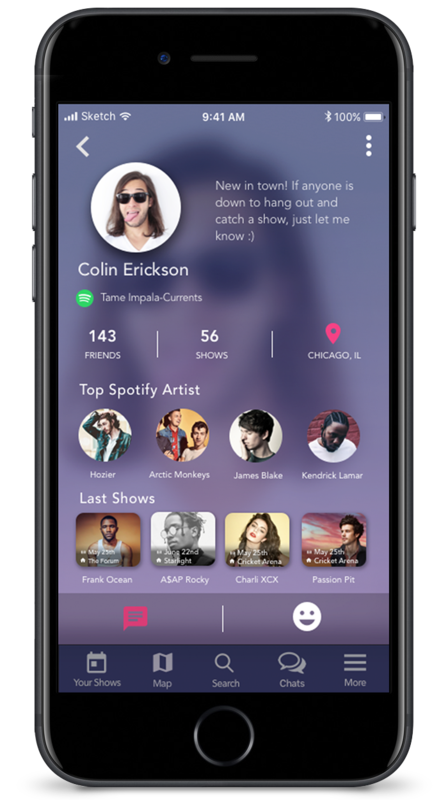 When the user profiles are viewed, their top spotify artist, and recent concerts attended will appear. 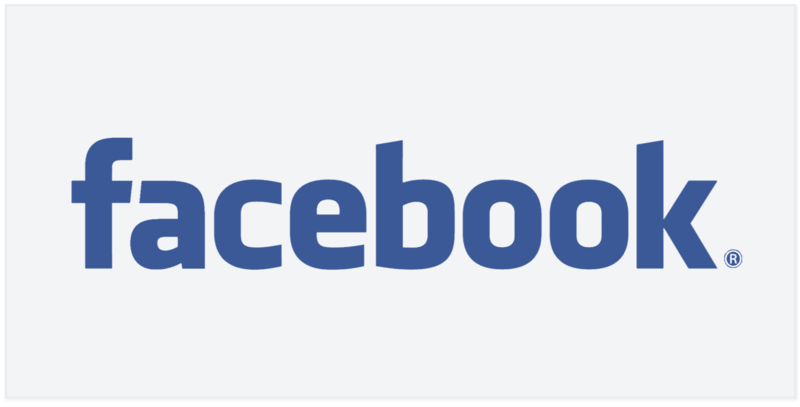 From this information, users can decide if they have enough in common and can either send out a friend request, or connect to chat right away. 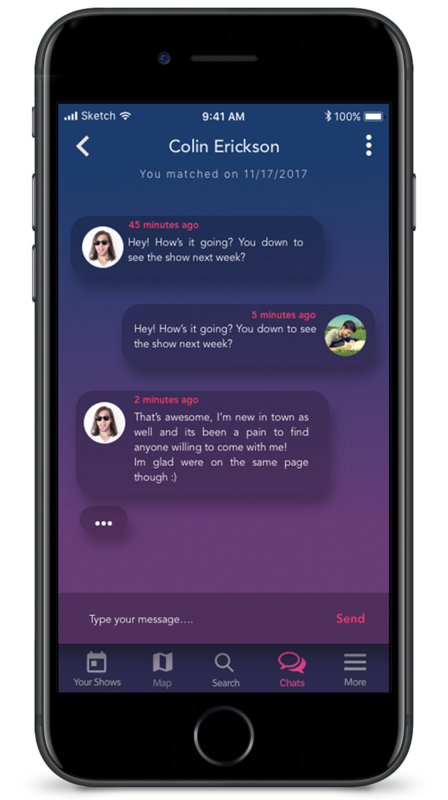 An invite to chat will appear when both users have decided to chat with each other. 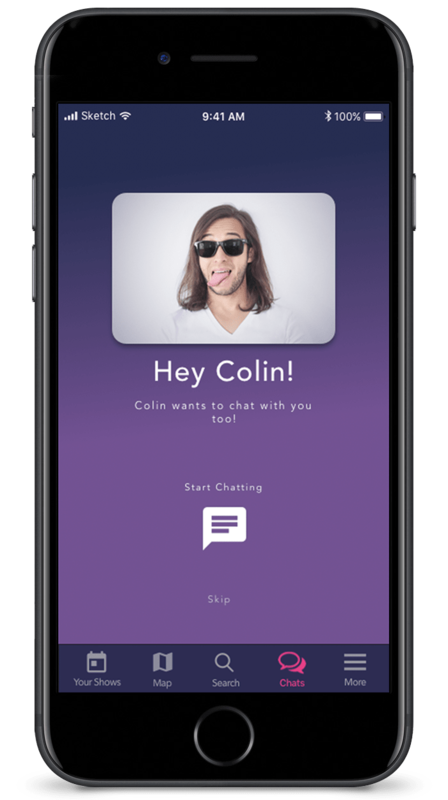 The final prototype can be viewed and interacted with through Invision App.